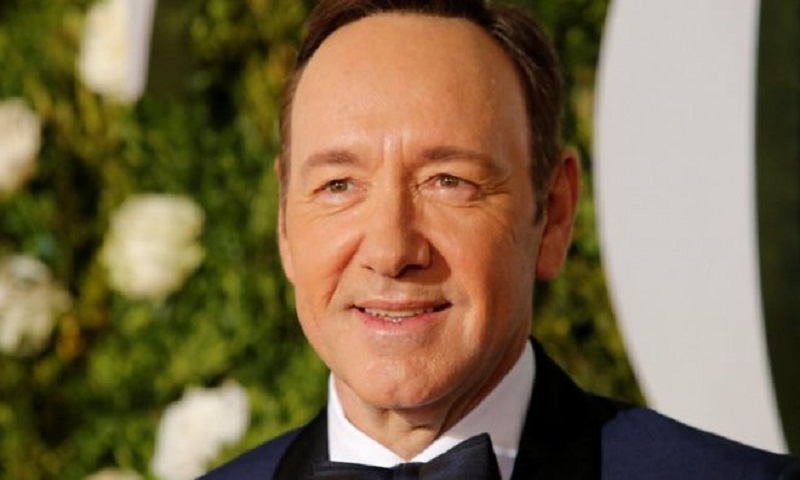 Spacey said he was "horrified to hear the story"
Hollywood star Kevin Spacey has made an apology after being accused of making a sexual advance toward a child actor. Anthony Rapp, who was 14, said Spacey invited him to a party and seemed drunk when the alleged incident happened. Rapp says he is sharing the story now after the Harvey Weinstein scandal. In an interview given to BuzzFeed News, the 46-year-old Star Trek: Discovery actor said he was sitting on the edge of a bed after the party - held in Spacey's apartment in 1986 - when Oscar-winning Spacey, now 58, came into the bedroom. Rapp said he was able to go to the bathroom before he left. Responding to the allegation, Spacey said he was "sorry for the feelings [Rapp] describes having carried with him all these years".